From dance teams, to Ukrainian missionaries, to surgery! The Lord doing a lot of work around us! This month we have been focusing on starting the new year off right, and remembering that we are to be about sharing the good news of Jesus Christ with all around us. Pray for the church, as we are beginning to make new contacts and want to connect them with worship and Bible study! We are so excited about the future of BIble Family Fellowship! Our beloved dance team, Celebration Ministry of Arts, normally come in the summer. We were excited to welcome them in January this year and to watch how the Lord might use it in a different way. And OH how He did use them! Our usual Saturday kids dance workshop and evening performance was a wonderful time for all who attended. We had more than 20 kids, several TEENAGERS (that is SO exciting) and at least three families who drove from almost two hours or farther away (through snow) to be a part of the event. One young 17 year old boy came after seeing the flyer at last year's city wide Christmas worship service. He had no other connections to the event. This is so amazing! Please pray that he will look at all the information he was given about BFF and Bible studies and that God will keep drawing him towards a relationship with us and especially with Jesus! Pray that each child was drawn closer to their Savior as a result of the devotions and fellowship that day. Also pray for Moms, many of whom had wonderful conversations with our staff and the team. If you'd like to see the day in photos, click here for a Facebook album. CMA also danced and shared testimonies in chapel at Seinan Jo, for our Tuesday Night Bible study, and helped with After School Klub. You don't want to miss the awesome dance they created for our theme song this semester, Put on the Full Armor of God! As we march on into the winter semester, we love watching God continue to work in hearts through our usual activities. After School Klub is finishing out it's 5th year of ministry, and we plan to continue on strong into a 6th year of outreach through this wonderful work God has given us. Our Bible studies continue to go deeper with those who already consistently attend, yet we are loving that members are inviting their friends, coworkers and family! Praying that we will begin to see steady growth! We asked you in our last newsletter to pray that God would send us team mates as we were beginning to see that our plates are getting too full, and it is affecting how much we can accomplish. Well God is answering your prayers! We can not give you details yet, but it looks as though God may have answered your prayers in a very big way. 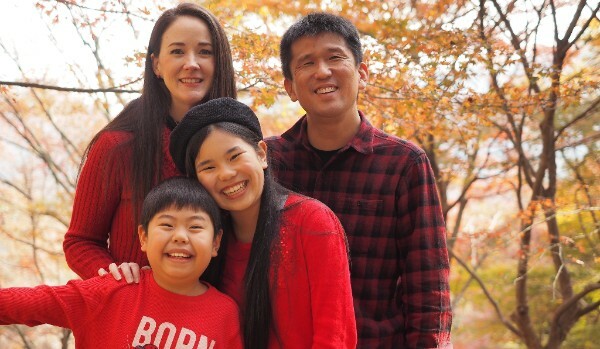 Please pray for wisdom and guidance as we talk with a Japanese couple who are prayerfully considering taking a huge leap of faith by starting to do full time church planting ministry (possibly in partnership with us). While juggling all of this our family continues to be blessed and so thankful for your support. If you could remember to pray for us in the coming weeks for two things. #1: Kai is getting his tonsils out next week. In Japan that equals one week of hospitalization. Please pray that all goes smoothly, there are no complications, that Daddy and Mommy can juggle his care and ministry and not get too exhausted spending nights at the hospital, that big sister can survive seeing her little brother go through this (she's dreading it almost as much as he is), and most of all that this will improve Kai's health, especially his breathing particularly at night. #2: Airplane travel for our trip to the US! The logistics are a bit complicated for several reason and we are finding it challenging to find airplane tickets at a reasonable price, arriving and departing when and where we need to. 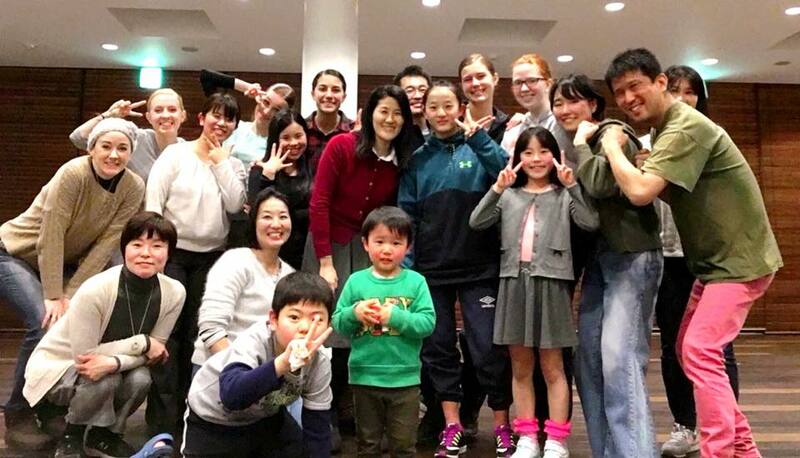 Hana will also be staying an extra two weeks to travel back to Japan with a mission team who are coming to serve in May. This adds an extra complication to the process, getting her on the same flight with them, and so forth. Please pray for God to work a miracle! Plans continue to evolve for our US schedule, but the following is our itinerary so far. Our schedule is getting pretty jam packed, but if we are going to be near you, please don't hesitate to contact us. We would love to see you!!! Hope to hear from you soon. Thank you so much for your prayers!